Get comfy : If you have pain under your arch or heels, the easiest way back to comfort is to pop your supportive joggers on for a few days. Good joggers will provide some cushion foryour soles, and cradle the arch, taking pressure and strain away. Blisters be gone! : For blisters and skin irritation, try the My FootDr remedy of a 10 min ice bath mixed with a tablespoon of salt. Cover any broken skin with a quality dressing, andpop you feet into a pair of arch support recovery sandals or thongs from Vionic. 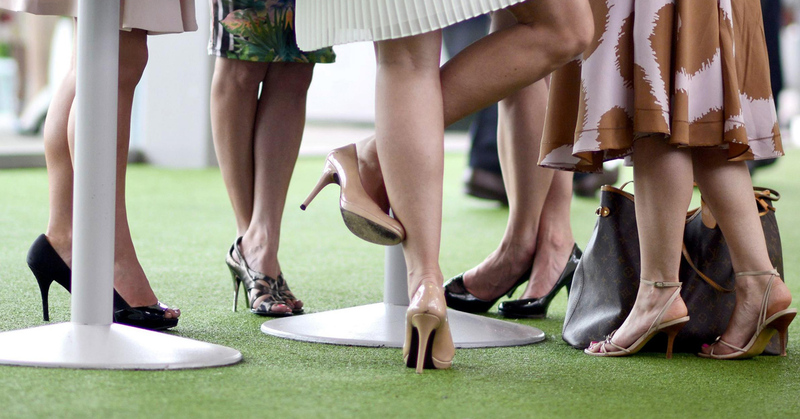 Seek help: Foot pain from wearing high heels should be temporary and moderate. If your foot pain lingers for longer than the effects of your celebrations from the night before, or there is swelling or redness, seek immediate help from our My FootDr podiatrists to get an early diagnosis and treatment. Book an appointment online or call 1800 FOOTDR today.